This tutorial will show you step by step how to remove a password from a PDF file in a few different ways by using the software you probably already have installed on your Windows, Linux, or macOS computer. 2. Go to your password protected PDF file. 3. Drag your password protected PDF file into Google Chrome. 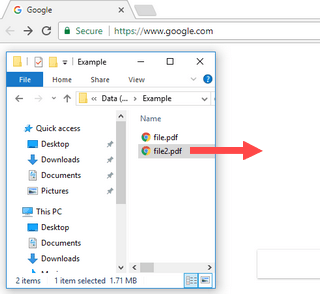 Or if you are using Google Chrome as your standard PDF viewer, then you can also just double-click on the PDF file to open it in Google Chrome. 4. Enter the password of the PDF file. 5. Press [Enter] (or Return) or click on the Submit button to unlock the password protected PDF file. 6. Click on the Print button in the top PDF toolbar. Or press the [Ctrl] + [P] keys on your keyboard on Windows and Linux or press the [⌘] (command) + [P] keys on your keyboard on macOS. 7. 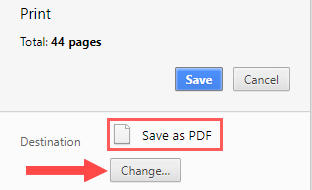 At Destination, you click on the Change button and then click on Save as PDF. 9. Enter a name for your PDF file. 10. 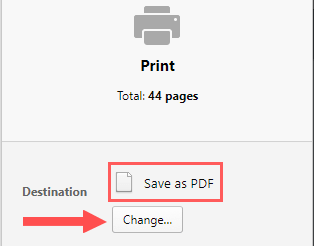 Select a location on your computer where you want to save the PDF file. Google Chrome will now save a copy of your PDF file without password protection to your computer. 3. Drag your password protected PDF file into Mozilla Firefox. 5. Press [Enter] or click on the OK button to unlock the password protected PDF file. 6. Click on the Print button located in the top PDF toolbar. Or press the [Ctrl] + [P] keys on your keyboard. 7. 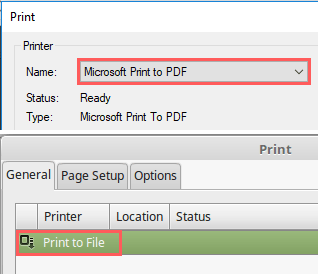 On Windows, you select Microsoft Print to PDF and on Linux, you select Print to File and make sure that PDF is selected at Output format. 8. Click on the OK button (on Windows) or click on the Print button (on Linux). 9. At File name, you enter a name for the PDF file. 10. Select a location on your PC where you want to save the PDF file. 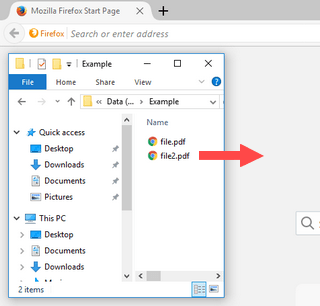 Firefox will now save a copy of your PDF file without password protection to your computer. 1. 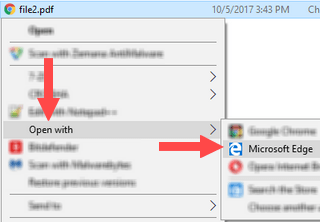 Right-click on the password protected PDF file, go to Open with and then click on Microsoft Edge. 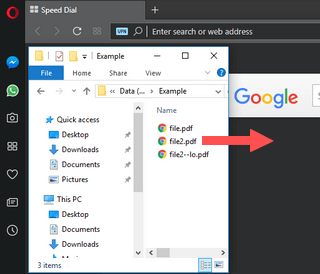 Or if you are using Microsoft Edge as your standard PDF viewer, then you can also just double-click on the PDF file to open it in Microsoft Edge. 2. Enter the password of the PDF file. 3. Press [Enter] or click on the OK button to unlock the password protected PDF file. 4. Press the [Ctrl] + [P] keys on your keyboard. 5. 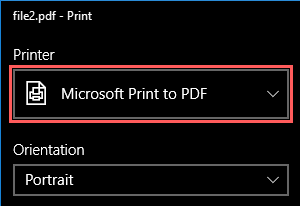 Make sure Microsoft Print to PDF is selected at Printer. 6. Click on the Print button at the bottom. 7. At File name, you enter a name for the PDF file. 8. Select a location on your PC where you want to save the PDF file. Microsoft Edge will now save a copy of your PDF file without password protection to your computer. 3. Drag your password protected PDF file into Opera. Or if you are using Opera as your standard PDF viewer, then you can also just double-click on the PDF file to open it in Opera. Opera will now save a copy of your PDF file without password protection to your computer. 3. Go to your password protected PDF file. 5. Enter the password of the PDF file. 6. Press [Enter] or click on the OK button to unlock the password protected PDF file. 7. Click on File at the top left. 8. Click on Export as PDF. 11. At File name, you enter a name for the PDF file. LibreOffice will now save a copy of your PDF file without password protection to your computer. 1. Open the password protected PDF file in Preview. To open a PDF file in Preview, you will need to right-click on the password protected PDF file, then go to Open With and then click on Preview. 3. Press Enter (Return) to unlock the password protected PDF file. 4. Click on File located in the top menu bar and then click on Export. 5. Rename your new PDF file, so that it will not replace the original file. 6. Make sure that PDF is selected at Format. 7. Make sure that Encrypt is unchecked. Preview will now save a copy of your PDF file without password protection to your computer.